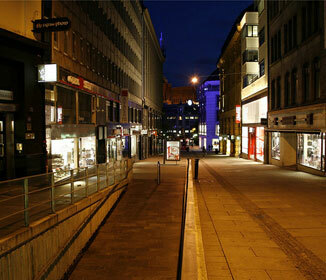 Oslo’s cityscape is being redeveloped as a modern city with various access-points, an extensive metro-system with a new financial district and a cultural city. In 2008, an exhibition was held in London presenting the award-winning Oslo Opera House, the urban regeneration scheme of Oslo’s seafront, Munch/Stenersen and the new Deichman Library. 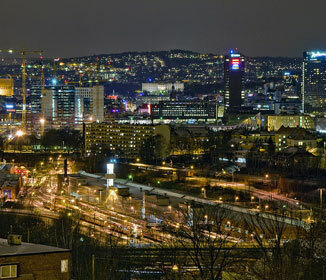 Most of the buildings in the city and in neighbouring communities are low in height with only the Plaza, Postgirobygget and the highrises at Bjørvika considerably taller.